Disney (the Galactus of the entertainment world) is intending to change direction with it’s movie-to-video game adaptions. In the past, Disney would release tie-in licensed video games as a counter part, along side their theatrical adventures. But that trend looks to be coming to an end. There has been a noticeable absence of video game versions of Disney’s blockbusters as of late. Recent major films like Monsters University and the Lone Ranger never got to see their gaming adaptations. Though it is confirmed that characters from both those movies will have digital media, and they will see the light of day. Just not in individual retail games. Instead Disney is now looking to put that full gaming burden on the shoulders of the upcoming title, Disney’s Infinity. If you have not yet heard. Disney’s Infinity is basically Skylanders, But with a pool of characters from across the whimsical world of Walt Disney. You can buy individual character packs that come with an assortment of small action figures that when placed onto the Base USB peripheral (or portal) can be used in game. Of course these character packs will span the past, present and future of the different Disney franchises. Which means you will be able to play the likes of Jack Sparrow, Buzz Lightyear, Sulley, Mr. Incredible, Wreck-it Ralph, Phineas and Ferb and many more. So the replacement of full video game adaptions, for tie-in toys and worlds inside Infinity is what will happen going forward. It’s being said that each add-on pack will come with multiple characters and will average 6-8 hours of game play. With recent titles such as Epic Mickey 2 and Brave falling short of expectations. It seems like going to an add-on DLC base is a smart choice. Why spend loads of money to create full games when you can essentially sell an infinite (heh) amount of add-ons and build on an existing gaming experience. 17 different characters are set to be available at launch. With many (MANY) more action figure packs to be sold shortly after release. 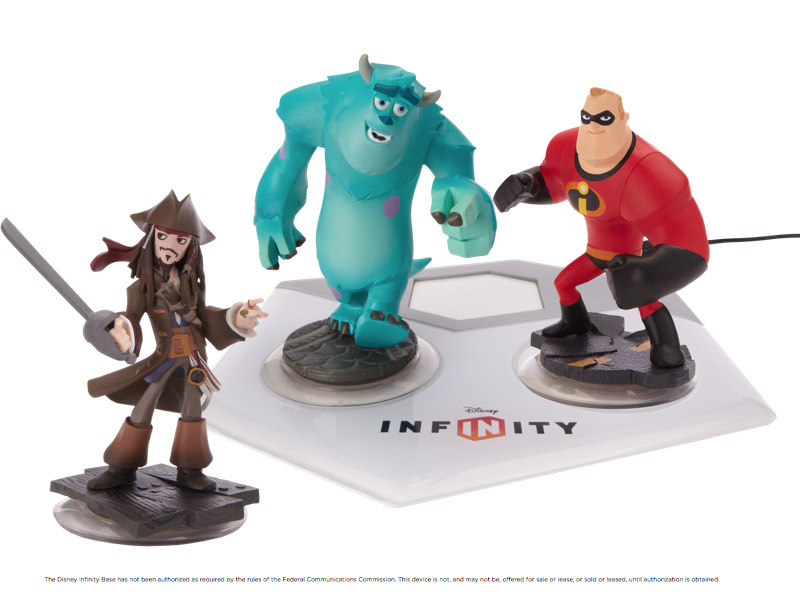 Disney’s Infinity hits shelves August 18th and will be sold with a starter pack that includes Jack Sparrow, Mr. 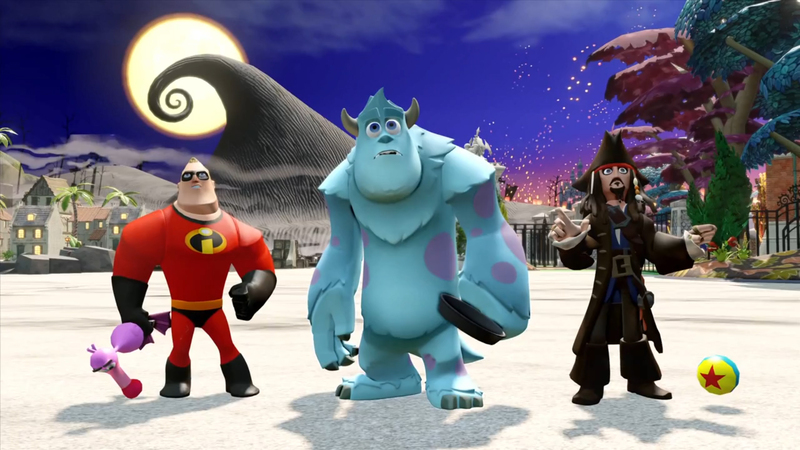 Incredible and James P. Sullivan.